Lockhart, E. N. S. (2017). Evidenced-based technology design recommendations derived from research on computer-based interventions for individuals with autism spectrum disorder. Manuscript under review. Lockhart, E. N. S. (2017). Computer-based social-emotional skills interventions for individuals with autism spectrum disorders: An analysis of methodological quality. Manuscript under review. Lockhart, E. N. S. (2017). An evaluation on the affordability of computer-based social-emotional skills interventions for school-aged children with autism spectrum disorders. Manuscript under review. Lockhart, E. N. S. (2017). Using peer support arrangements in general education classrooms to improve social and academic outcomes for students with intellectual disabilities: A review of the legislative, classroom, and developmental impacts. Global Journal of Special Education and Services, 5(4), 100-105. Lockhart, E. N. S. (2017). Standard 2.G. : Physical and technology infrastructure. In Iḷisaġvik College, Year seven mission fulfillment and sustainability self-evaluation (pp. 107-112). Utqiaġvik, AK: Iḷisaġvik College. Lockhart, E. (2016). Living kindness: Your footsteps towards being a kinder human. Charleston, NC: On-Demand Publishing. Lockhart, E. N. S. (2013, December). Outreach Residential Care Helping Individuals with Disabilities (ORCHID) employee handbook. Lockhart, E. N. S. (2013, December). Outreach Residential Care Helping Individuals with Disabilities (ORCHID) core policies and procedures (pp. 1-139). 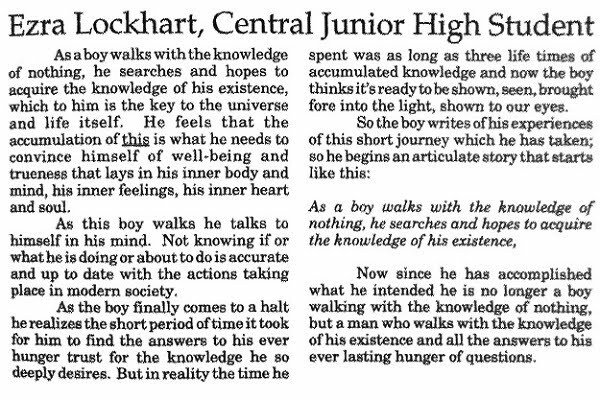 Lockhart, E. N. S. (1999). NTManage: SchoolZone Network Monitor [computer software].